ECCO 2017 | Informed patients – asset or threat? 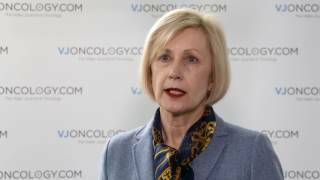 Jana Pelouchova from the European Cancer Patient Coalition, Brussels, Belgium discusses a panel debate on informed patients at the European Cancer Congress of the European Cancer Organisation (ECCO) 2017 in Amsterdam, Netherlands. She talks about the role of video vignettes and explains how information is distributed to patients, and asks how the selection and reliability of the resources that patients access can be improved. In addition, she encourages a discussion on what can be done to improve communication with patients, for example if they are interested in alternative therapies or in joining a clinical trial.